Christine de Pizan | Take Back Halloween! 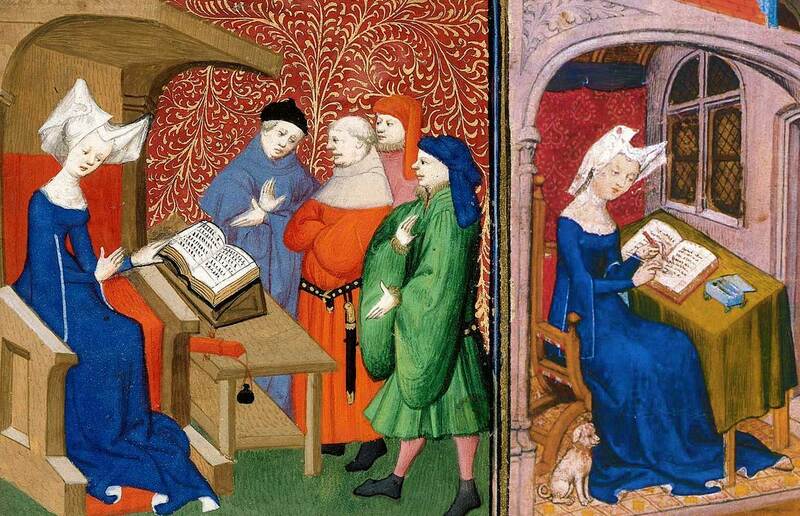 Christine de Pizan (ca.1364-1430) was a brilliant writer, poet, philosopher, and feminist. At a time when females were regarded as profoundly defective beings, Christine boldly imagined a “City of Ladies,” where women would be valued and respected. Her genius was such that she was able to support herself by writing, the first known woman in medieval Europe to do so. The illustrations above were prepared for fancy presentation copies of her manuscripts, and show the author in various scenes. On the left she is greeting some local burghers; on the right she is hard at work in her study. As you can see, the most distinctive thing about Christine’s costume is her headdress. 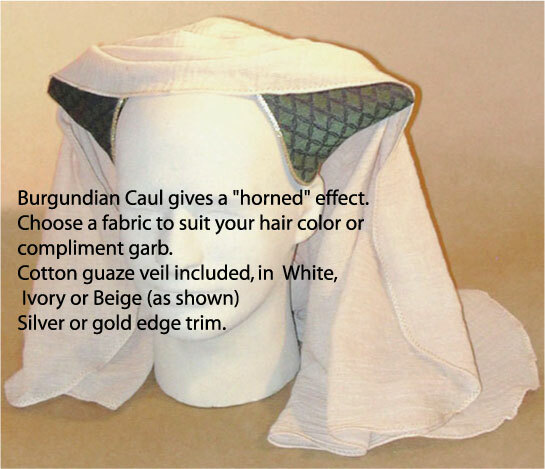 She wore the two-horned thing from Burgundy known as the “Attor de Gibet,” or Burgundian caul. Fortunately, you can actually buy such an item from the people who supply historical reenactment costumes. 1. 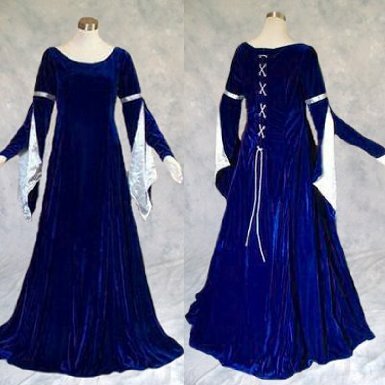 Late 14th century gown in royal blue . From Artemisia Designs. This is a really pretty dress, and they offer it in a full range of sizes. We also suggest a less expensive alternative dress in #2. 2. 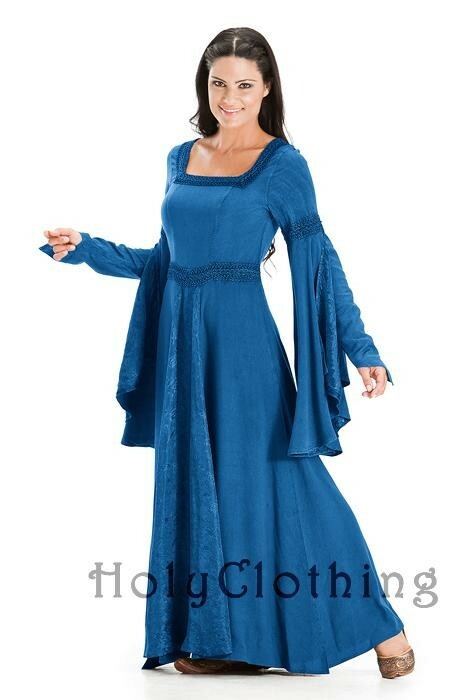 Alternate choice: Arwen dress from Holy Clothing. This isn’t trying to be an authentic medieval gown, you understand; it’s more a fantasy kind of thing. But it’s an excellent value (about $65) and looks wonderful. 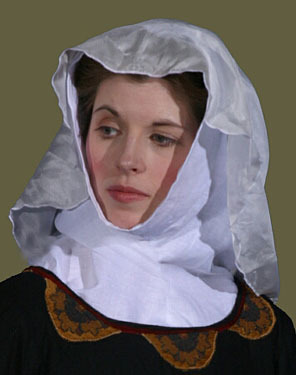 In fact, it looks a heck of a lot better than most of the cheapo “medieval costumes” for sale. It’s also available in a bunch of other colors and in sizes up to 5X. 4. Wimple. You can’t see it very easily from the illustrations, but Christine is also wearing a wimple, which is the white hood-like thing that we now associate with nuns. You put that on first, and then wear the Burgundian caul on top. You can get an authentic wimple from Revival Clothing for about 25 bucks. An easy, inexpensive substitute is a modern one-piece hijab . It’ll give you the same look. 5. Medieval writing set. Here’s a quill pen and parchment scroll to carry with you.